Description: Dunhill produces some of the finest lighters around, collected by enthusiasts the world over, like Huntsman's Chairman. 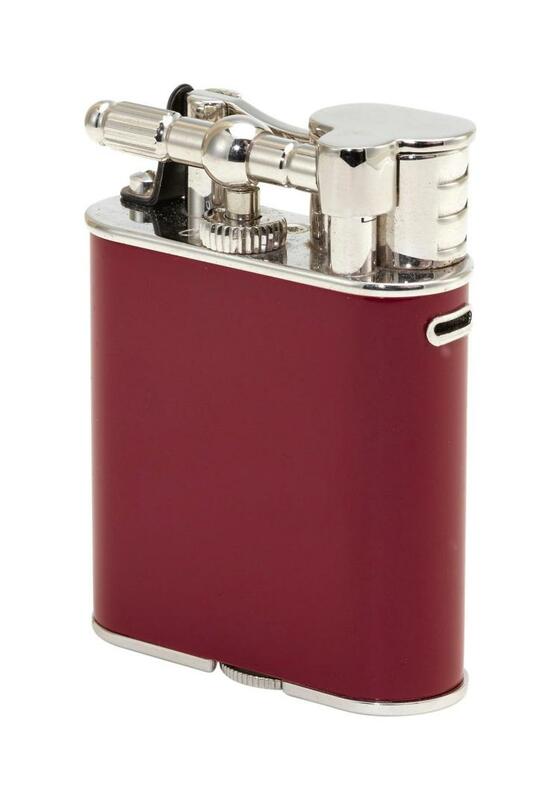 This windproof, gas sport turbo lighter was introduced to the Dunhill collection in the early nineties. The gas is ignited using an electronic piezo crystal, resulting in the turbo jet flame that is emitted. This fully functioning vintage lighter has received the bespoke Huntsman treatment, having been lacquered in Huntsman signature claret by artisan Lionheart.